Vietnam needs to develop its own automobile industry, create favourable import conditions and ensure production for more than 90 million people. This was said by Mai Tien Dung, minister and chairman of the Government Office, at a conference in Hanoi on Monday. The conference was held to discuss and listen to the feedback of auto businesses related to difficulties in implementing the Government’s Decree 116/2017/NĐ-CP on automobiles and the transport ministry’s guiding Circular 03/2018/TT-BGTV. Decree 116 stipulates the conditions for production, assembly, import and business of automobile warranty and maintenance services, issued on October 17 last year. 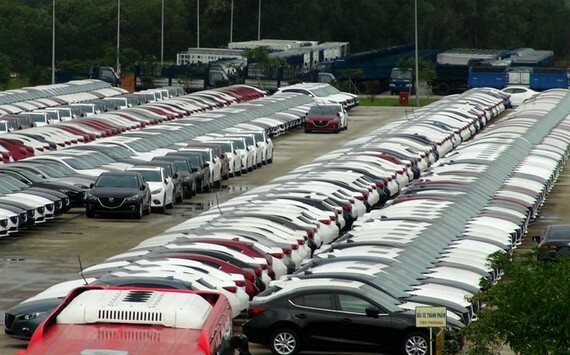 After the issuance, many companies, such as Honda and Toyota, have stopped importing cars into Vietnam. Ford, Nissan and Mitsubishi also announced a halt on import. By early 2018, the Ministry of Transport issued Circular 03 to guide the implementation of Decree 116. Although it is expected to “unravel” the problems of enterprises related to Decree 116, the circular continues to receive contrary feedback from many enterprises. 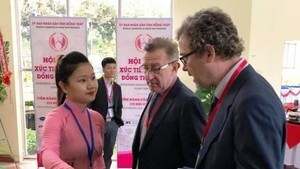 Dung said as a developing country, Vietnam’s policy was to deepen its integration into the region and the world. “Not to mention Vietnam will become an automobile market for firms and countries, but we will have our own choices. There’s no protection to the majority of domestic production, but it needs attention to some extent,” said Dung. He said it was evident from the manufacturers of Toyota and BMW that the policies of Vietnam had created consistent favourable institutional framework for enterprises to invest and expand production in the country. Dung, however, said that the Government recognised the need to listen more thoroughly to the issues related to Decree 116. Recommendations would then be submitted to the Prime Minister in accordance with the country’s policies and international practices. “There are issues, including Vehicle Type Approval (VTA) certificate, road test for autos and inspection of every batch of imported auto, that we need to listen to more," he said. He cited the examples of road test, checking the vehicle in the most favourable condition, reducing clearance time, among others. There’s a need for risk management to ensure traffic safety, product quality and environmental protection. This was the requirement of the Prime Minister and should be absolutely implemented, said Dung. At the conference, there were arguments on Decree 116 and Circular 03, with extreme opinions emerging. The first comments came from companies such as Toyota, Ford and GM, who expressed deep concern about some of the administrative regulations in Decree 116. They said the regulations were not in accordance with international standards and that it disrupted and almost stopped cars from being imported into Vietnam. These companies urged the Government to postpone the implementation of the decree. They specifically argued that the regulation on VTA certificate on imported cars issued by foreign competent agencies and organisations was not in line with international practices. According to them, countries only issue certificates for domestic vehicles, not for those exported. Inspection rules for each batch of imported vehicles were also considered to be difficult and expensive for the businesses. The companies disagreed with the requirement to have a test track with a minimum length of 800m citing technical difficulties, expensive land fund and investment. In addition to these, car manufacturers have different technologies to ensure quality, not necessarily an 800m long road test, they said. General Director of Ford Vietnam, Pham Van Dung, said auto enterprises had little time to prepare before the decree came into effect on January 1, 2018. “Ford does not dare to accept orders because if the imported car does not meet the decree’s requirements, the firm will have to re-export it. That is a problem because the importing countries have different requirements,” he said. The second opinion came from representatives of domestic auto enterprises, such as Truong Hai Automobile Joint Stock Company (Thaco) and Hyundai Thanh Cong. Thaco Chairman Tran Ba Duong asserted the VTA certificate was needed to protect the environment and ensure safety of users. He said the certificate need not be issued by State authorities but may be issued by other competent organisations. He cited the example of German vehicles, which can obtain certificates from organisations in other countries. Le Ngoc Duc, general director of Hyundai Thanh Cong, agreed with Duong and stressed that if a locally manufactured car was tested, the imported car must also be tested. The VTA certificate is the first basis for Government agencies and consumers to evaluate whether the imported vehicle meets their requirements, he said. Both Duong and Duc agreed that Decree 116 had created an environment of equal competition between manufacturers and importers of cars. “I think we should not postpone the implementation of the decree because it would not be fair to businesses that are trying to meet the requirements,” Duong said. Meanwhile, Deputy Minister of Industry and Trade Do Thang Hai and Deputy Minister of Transport Le Dinh Tho emphasised the need to protect consumers’ interests and the environment as well as ensure fair competition among enterprises. After listening to ideas from the participants, Minister Dung affirmed that Decree 116 was drafted carefully before being issued to gather ideas from businesses and relevant subjects. It aimed to create better policy to attract investment from foreign and domestic businesses to produce quality cars, he said, adding that the Government would continue its efforts to improve the domestic business environment, lift barriers and improper procedures and pay attention to develop and support the auto industry. The minister proposed to foreign agencies, associations and businesses to support Vietnam’s policy on developing its automobile industry to be self-sustainable and to accelerate localisation rate (the rate of parts manufactured locally) through tax policies. “Today, we do not conclude here, but we take seriously the inputs and will offer concrete solutions in the shortest time possible. Next week, the ministries and agencies will review every aspect and issue,” the minister said. The conference was attended by representatives of the embassies of the United States, Japan, South Korea and the European Union, in addition to representatives of business associations and automobile manufacturing and trading enterprises in Vietnam.